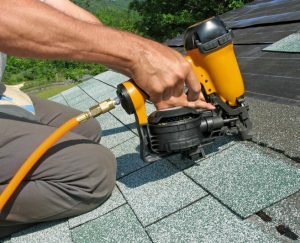 Asphalt shingle installation is one of the most popular styles of roofing for residential properties because of its versatility and design variety. Asphalt single installations can be done in a wide range of colors and shingle styles to complement the architectural design and color of virtually any home. In addition to the roofing versatility and variety of an asphalt shingle installation, there are other benefits as well. The asphalt shingle roofing experts here at Richard Roofing install only the highest quality asphalt shingles, providing homeowners with a cost-effective quality roof that provides excellent cost-to-value weather resistance. But perhaps you’re a business owner with a commercial property that needs a new roof. In that case, we might recommend a quality EPDM rubber roof installation in Northborough, Massachusetts and the surrounding towns. New England is known for its harsh weather, so it’s important to install a roofing system such as a tough EPDM rubber roof installation that can stand up to the pounding of winter’s snow and cold and summer’s heat and rain. For flat commercial roofs, EPDM rubber roof installations are the least expensive system to install per square foot and, for roofing experts, they’re relatively simple to install using anchors, adhesives, and rollers. EPDM rubber roofing is also very lightweight, so the roof deck doesn’t need any kind of reinforcement. In fact, the best way to install this material is to strip everything right off the roof, apply an adhesive then roll out the roofing. Because there are few seams, leaks are fairly rare and a good quality EPDM rubber roof installation can last up to 20 years. So whether you’re looking for a professionally-installed, long-lasting asphalt shingle roof installation in the general central Massachusetts area, or a highly cost-effective EPDM rubber roof installation, Richard Roofing can help. Contact us today for a fast, free estimate.